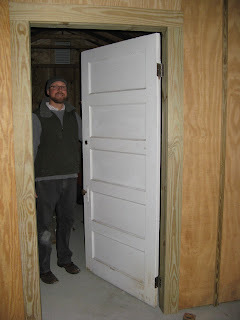 The day of doors... as the crew inside the house was busy working on doors and trim in the new addition, Brian and I were busy hanging the door on the shed. 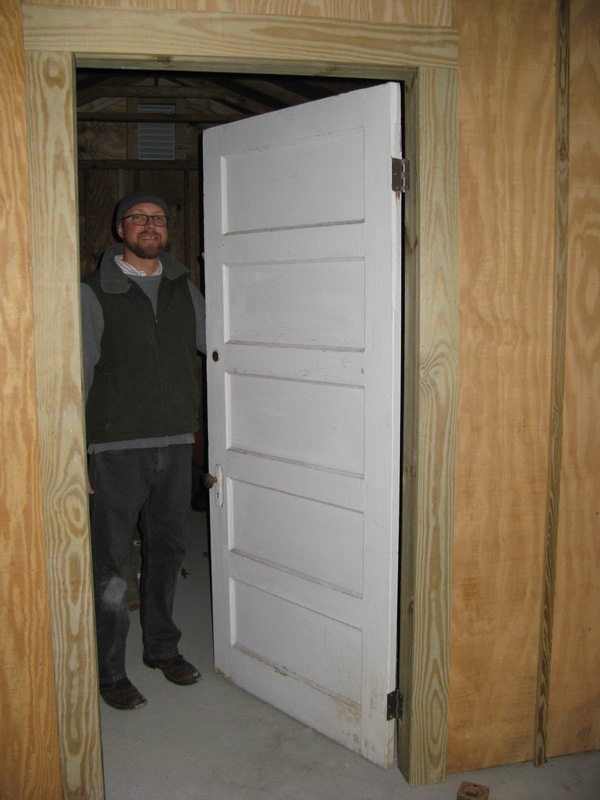 We had the door that had been the original 'back door' of the house (when we bought it), so we ended up re-using that for the shed. We still need to replace the lock set, but were able to at least install the door. 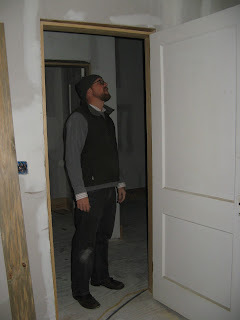 As for inside the house, the door on the closet in the laundry room was installed, as well as the double-closet doors on Brian's closet, my closet, and the master bathroom. Most of the trim was completed, but will be done by the end of the weekend. 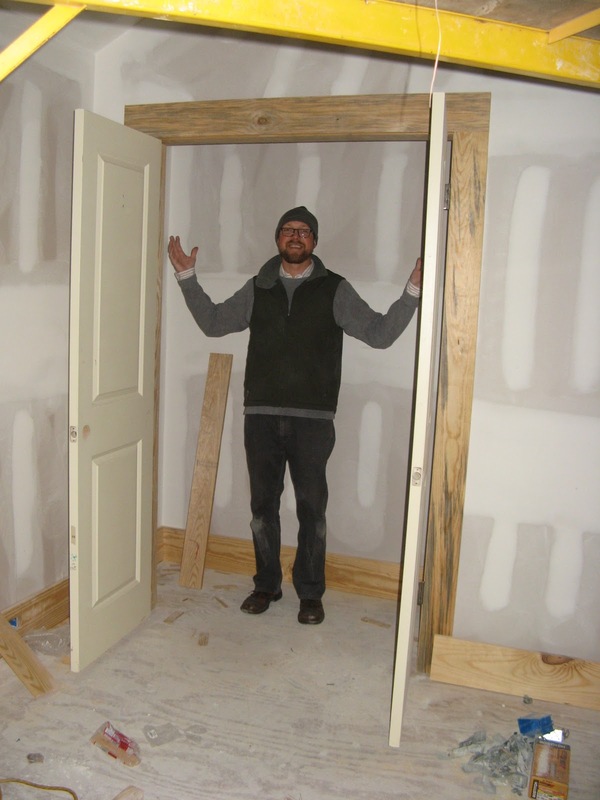 brian looks very happy with his double door closet!